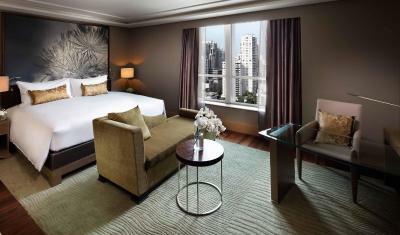 Lock in a great price for Sofitel Bangkok Sukhumvit – rated 8.8 by recent guests! The food but i wish there were more selections of food during breakfast. The beds and linens were very soft. Hotel staff very attentive and courteous. Overall hotel service excellent. I forgot my jacket in lobby and was promptly retrieved and delivered to us at airport. breakfast was good in terms of quality. Variety can be more. Good city location with good parking. 5* hotel in all respects. The location of the hotel,the service most of the staff was extremely hospitable Mr Carri in guest relations was extremely attentive to us. I took the suite room, very nice and the bed comfortable. The staff are very helpful during my stay. The bed is divine, so soft like sleep on heaven, it's underlying with down duvet so it's very breathable, love Sofitel's attention to details everytime. Very professional and welcoming staffs, from reception to all food service outlets and fitness staffs, house keeping, my laundry was neatly folded individually like just brought from boutique. Location and during breakfast the number of the table and send it to the EGG Section :) Love it! Luxurious hotel with great service, wide breakfast spread, fantastic gym facility and large rooms with great comfort. After being smogged out in Bangkok, it was also fantastic to return to a cup of chamomile tea which the note in the room said was to help guests sleep a little better. What a thoughtful gesture! 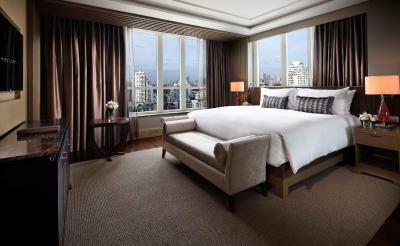 Sofitel Bangkok Sukhumvit This rating is a reflection of how the property compares to the industry standard when it comes to price, facilities and services available. It's based on a self-evaluation by the property. Use this rating to help choose your stay! 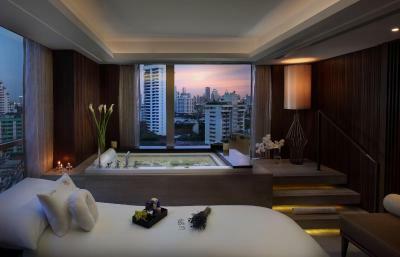 One of our top picks in Bangkok.Centrally located on Sukhumvit Road, the luxurious 5-star Sofitel Bangkok Sukhumvit offers a 50 feet outdoor pool, a 24-hour gym and pampering spa treatments with L'Occitane amenities. Providing free Wi-Fi, the hotel also has 24-hour room service and free parking. Wonderful city views can be enjoyed through floor-to-ceiling windows. The elegant air-conditioned rooms also have a smart TV with international channels and a Bose sound system, personal safe and mini-bar. Private bathrooms come with a bathtub, separate shower and luxury toiletries. Some rooms comes with an illy espresso machine. 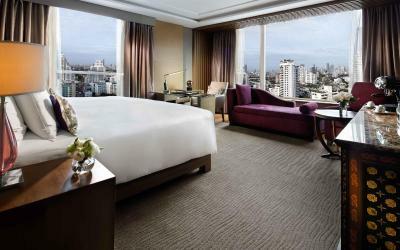 Sofitel Bangkok Sukhumvit is located 1,650 feet from Asoke and Nana BTS Skytrain stations, as well as Sukhumvit MRT Subway Station. 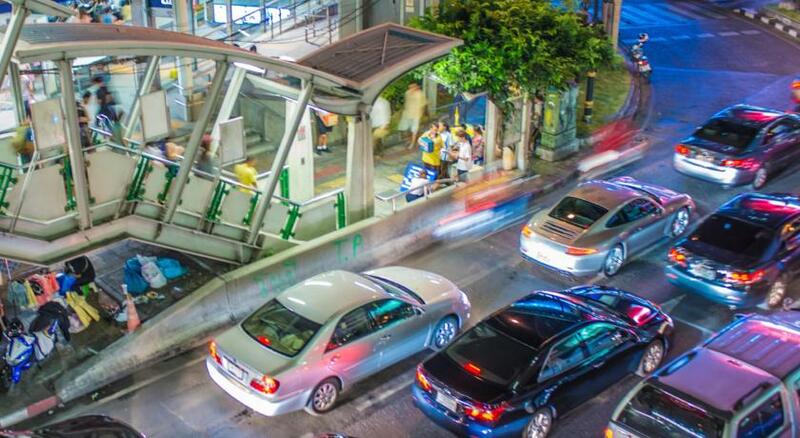 It is approximately a 10-minute walk to Terminal 21 Shopping Center and a 15-minute drive from Emporium Department Store and Benjasiri Park. Suvarnabhumi International Airport is 16 mi away. The exclusive Le Spa features a hydrotherapy bath, sauna facilities and relaxing massage services. The hotel also provides a business center and laundry services. There are also religious amenities including prayer mats and a Qibla compass. Le Macaron serves hand-made chocolates, fruit brioches and other French pastries. 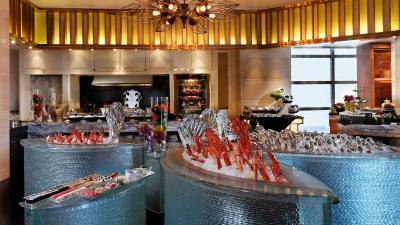 Sunday brunch, as well as international dishes, can be enjoyed at Voilà. The stunning rooftop L'appart French restaurant offers a champagne lounge, outdoor terrace and beautiful panoramic city view. Guests can enjoy cocktails and beverages at Le Bar de l'Hôtel. 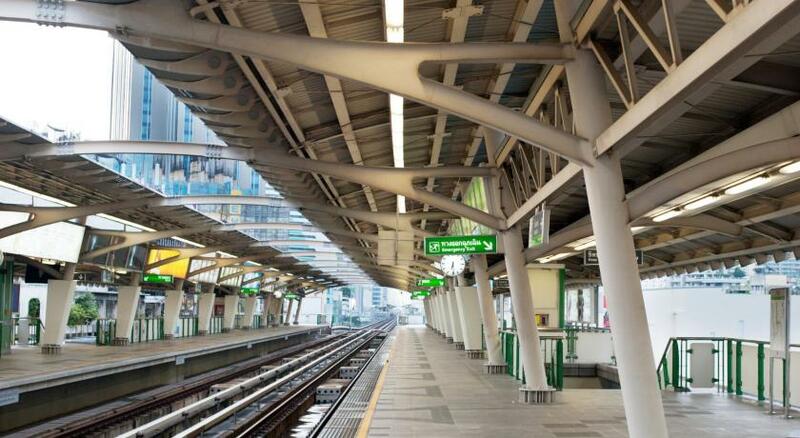 Wattana is a great choice for travelers interested in nightlife, clothes shopping and shopping. 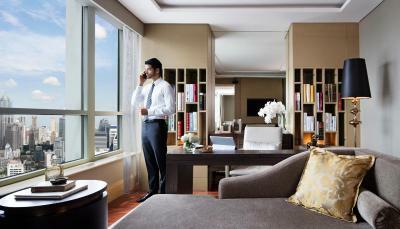 When would you like to stay at Sofitel Bangkok Sukhumvit? 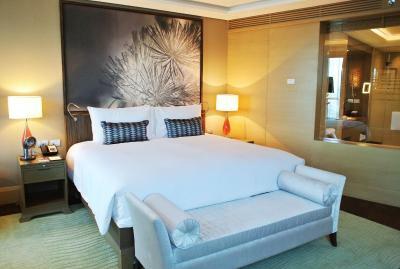 Modern air-conditioned room comes equipped with a smart TV with Bose sound system, personal safe and minibar. An electric teakettle, bathrobes and slippers are provided. A bathroom has a shower, separate bathtub and L’Occitane toiletries. 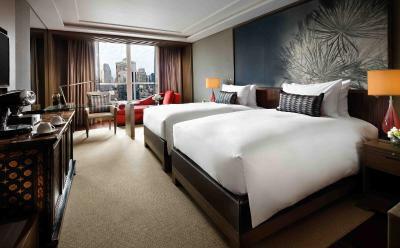 Featuring additional space, modern air-conditioned room features a smart TV with Bose sound system. It comes with a personal safe, minibar and illy espresso machine. Bathrobes and slippers are provided. A bathroom has a shower, separate bathtub and Hermès toiletries. Benefits include personal butler service and exclusive access to Club Millésime. Spacious and modern, air-conditioned suite has a separate living area with a sofa. Includes a smart TV with Bose home theater system, personal safe. It also has an illy espresso machine and mini-bar. 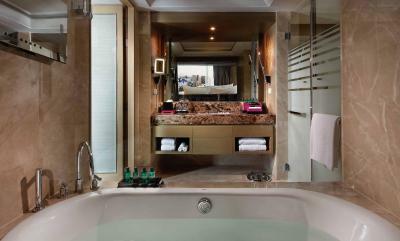 A bathroom is fitted with a shower, separate bathtub and flat-screen TV, as well as Hermès toiletries. Featuring more living space than the Prestige Suite, this suite has 2 separate living areas. Includes a smart TV with Bose home theater system and personal safe. It also has an illy espresso machine and mini-bar. A bathroom includes a shower, separate bathtub and flat-screen TV, as well as Hermès toiletries. Spacious suite is equipped with a separate living area, dining area and small pantry. Includes a smart TV with Bose home theater system, and personal safe. It also has an illy espresso machine and mini-bar. A bathroom is fitted with a shower, separate bathtub and flat-screen TV, as well as Hermès toiletries. Overlooking the park, air-conditioned room comes with a smart TV with Bose sound system, personal safe and minibar. An electric teakettle, bathrobes and slippers are provided. A bathroom has a shower, separate bathtub and L’Occitane toiletries. 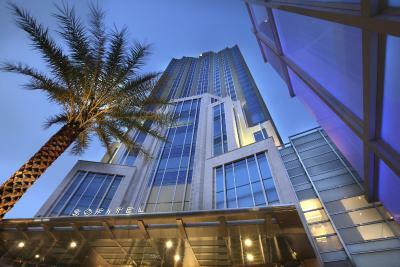 Sofitel Bangkok Sukhumvit is a luxury 5-star hotel where located on vibrant Sukhumvit road. The hotel redefines the travel experience with French elegance, opulent interiors, gourmet cuisine and personalised service. 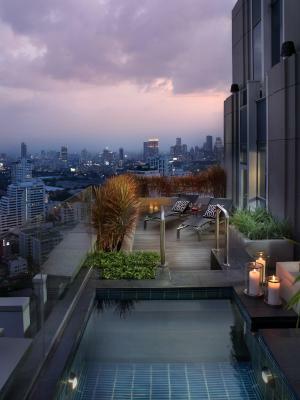 Surrounded by fashionable shopping and entertainment complexes, a short walk to Arab Street (Nana Road), Nana or Asok BTS Skytrain and Sukhumvit MRT subway stations and next to the Bumrungrad Hospital. Hotel surroundings – This neighborhood is a great choice for travelers interested in nightlife, clothes shopping and shopping – Check location Great location - show map Guests loved walking around the neighborhood! 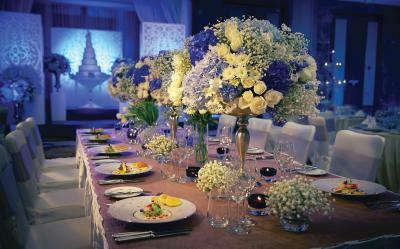 House Rules Sofitel Bangkok Sukhumvit takes special requests – add in the next step! Sofitel Bangkok Sukhumvit accepts these cards and reserves the right to temporarily hold an amount prior to arrival. All reservations must be guaranteed with a valid credit card when checking in, unless otherwise specified. 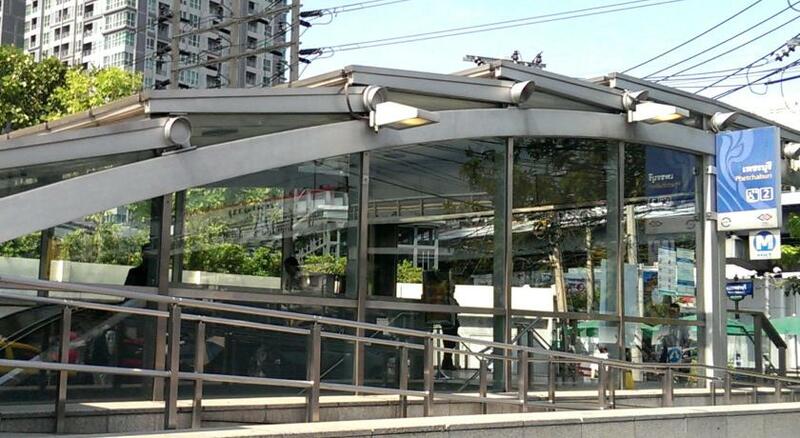 Central location close to everything you want to see in Bangkok, clean, very polite and friendly staff! The staff at the Hotel were amazing! Carpets need to be changed and at the time of check in I was charged almost 10k extra than my booking money. When I showed the mail of booking. Com than it was corrected . The newly opened Belga restaurant at the rooftop which serves Belgian foods. The room was very good and the breakfast was fantastic. 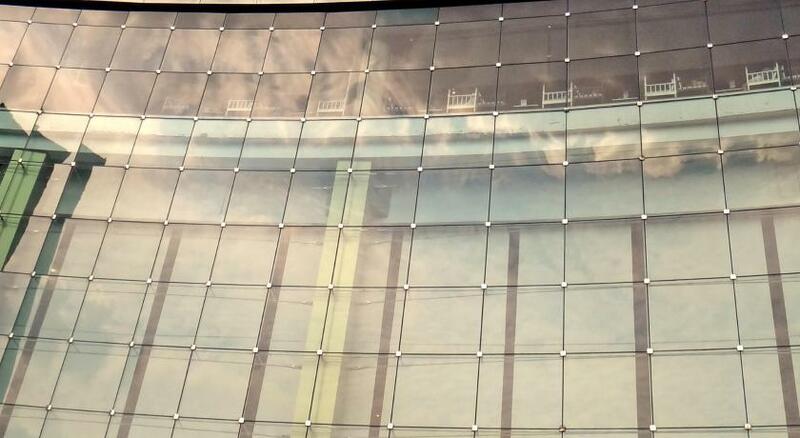 Due to the fact that there was air pollution outside, the hotel seems to have control of the situation and the air inside the rooms seems to come through filter. I thought the room was bigger when i stayed there some years back. The laundry pressing service is kinda slow, its at least 1 day before i can get it. At the upper end of the price range for good value for this trip, although prices vary and it was busy. Should have a Nespresso or other coffee machine at this price point. 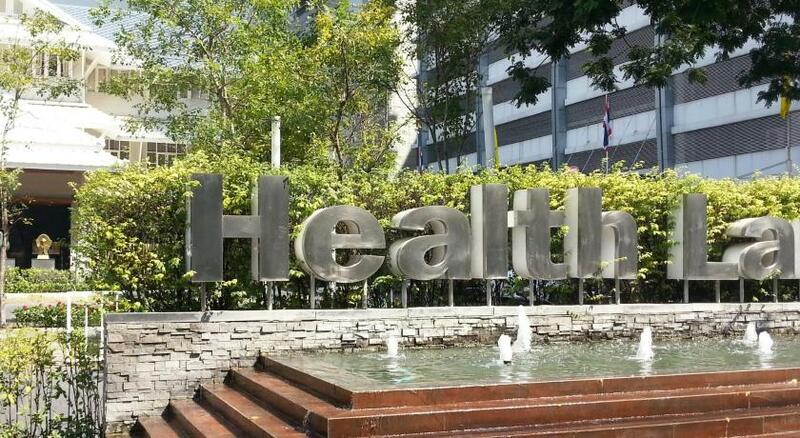 My preferred hotel on lower Sukhumvit. Great bed, modern room, good facilities, friendly staff. Gym is good, pool large. The addition of Belgium (Belgium bar and restaurant on the top floor) is great. Good food and beer, nice cooling breeze and great view over Bangkok.